Simple but cute! Customize your stripes to match any outfit. Finished length is about 36 inches (about a ladies size small-medium). 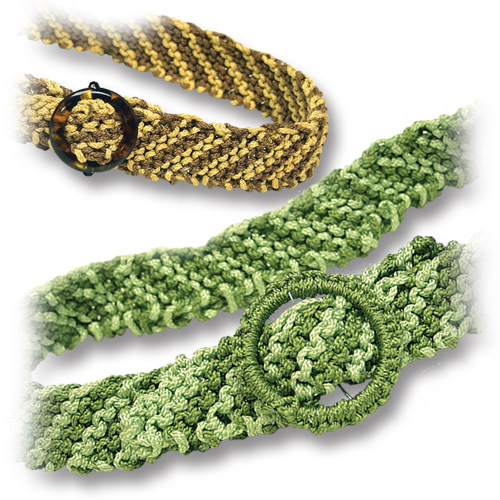 For a longer belt additional cording will be required. Instructions for this project are coming soon. The pattern is available here for free download.